Michigan Dance Company has been in business since 2013 and has already made great feats in the dance world... Recognized by the ADCC as a National Studio of Excellence, voted Best of the Best, holds several national titles and is home to award winning choreographers! Meet Our Highly Qualified Dance Instructors! ​ Ms. Natasha has over 20 years of cheer and dance experience. She started her career in California at the age of 7 and continued her education in dance through the University of Michigan. She has cheered and danced for several teams, including at the collegiate level. Ms. Natasha is an award winning choreographer and has several routines that have won at the national level. She has been a studio instructor since 2009 and has owned Michigan Dance Company since 2013. Ms. Natasha has also coached cheerleading for the past 9 years and is currently the head varsity cheerleading coach for Davison High School where she has led her teams to break school records. She consistently is bettering her ability to teach by attending master classes and workshops geared towards teaching student athletics. Ms. Natasha also has a teaching degree in Elementary Education with an emphasis on mathematics and language arts. Ms. Natasha has devoted every aspect of her life to serving children and young adults. It is her ambition to make a lasting impact on the lives of every person she meets and to provide a positive role model for each and every one of her students. She is not afraid to push the limits to help students to reach their full potential. Ms. Natasha is also First Aid trained & CPR certified. Why her students love her: "Ms. Natasha is enthusiastic and loving. She makes every student feel at home in the studio. She also does an amazing job organizing competition routines where each girls strengths are highlighted!" ​ Ms. Aurora has been dancing since she was nine years old, at several different studios in Michigan and in various styles. She attended Grand Valley and graduated with a degree in dance, as well as psychology. She has also trained in New York at the Broadway Dance Center and the Joffrey Ballet School. Ms. Aurora was a member of the professional dance company Vertical Ambition Dance Company for three years and now performs professionally with Velocity Dance Company. She also tours nationally as a backup dancer and has judged at VIP Dance Competitions. Why her students love her: ​"Miss Aurora is well disciplined and gives tough love to her students to help push them to be better!" Ms. Michelle has over 12 years of dance and gymnastics experience. She has done excellent choreography for over 8 years. Miss Michelle is very patient and does an excellent job with our littlest dancers. She also has a lot of fun with the adult groups. She loves working with her students to not only help them improve in their technique, but to also gain confidence and grow as a dancer and person. 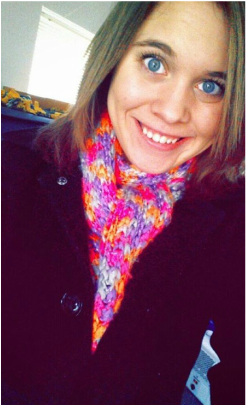 She is a full time student at Baker College where she is pursuing a masters degree in Occupational Therapy. Why her students love her: "Ms. Michelle makes every minute of practice fun and helps to build her students!" Ms. Becca has been dancing for 17 years and choreographing for 7 years and has loved every second of it! She was also a part of a varsity cheer team throughout high school. After high school she continued her dance education in college. Ms. Becca works towards helping her students understand the power that lies within dancing. She has attended numerous camps and competitions improving her technique and keeping her mind and body in a healthy place. She enjoys sharing this passion with anyone who walks into the room. Ms. Becca engages with all dancers until they are comprehensive and confident with whatever they working on. Ms. Becca is also a professional dancer for the 2018-19 NBA PISTONS DANCE TEAM! Go Pistons! 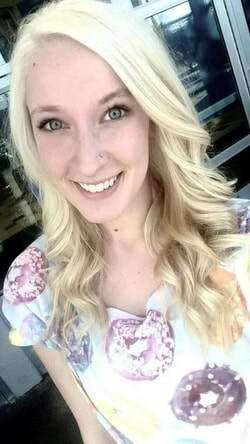 Why her students love her: "Ms. Becca is very kind and gives each student personal attention. She also has very fun and creative choreography!" Ms. Ally started training as a pre professional ballerina in the dance division at the Flint School of Performing Arts at the age of 5. She’s worked along side professional ballet companies including Dance Theatre of Harlem and Collage Dance Collective and professional choreographers such as Darrel Moultrie. She danced in “The Nutcracker” at the Whiting auditorium for 10 years. When she was an advanced company member of Flint Youth Ballet, she participated in the emerging choreographers program where one of her many pieces went to Michigan Youth Arts festival at Western Michigan University. Her choreography was honored by being selected to be performed in the opening gala at Miller Auditorium. She also was on her high school’s varsity dance team. She is currently working on her Bachelors Degree in the science of nursing and plans to continue on in anesthesia. Helping and teaching others are her passion. Barbara Zaleski was raised in Macomb, MI where she began her early training with Renee Wood, Stephanie Pizzo and Christina Tasco. After graduating from high school, Barbara attended the trainee program at the Conservatory of Fort Wayne Ballet under the direction of Karen Gibbons-Brown. In 2008, she entered Fort Wayne Ballet as a Corps de Ballet member and later became a Soloist. Ms. Zaleski has performed in many ballets including, Cinderella, Giselle, A Midsummer Night’s Dream, La Sylphide and The Nutcracker. While at Fort Wayne Ballet, she studied Dance Pedagogy, Kinesiology, Choreography Composition and Music Theory. In 2010, Barbara moved back to Michigan to perform with Eisenhower Dance for two seasons and began teaching at Eisenhower Dance Center. Along with teaching dance, she is also a Physical Therapist Assistant. Barbara is excited to be teaching at Michigan Dance Company and to share the knowledge she has learned over her professional career and many years teaching. Ms. Caitlyn is a very nurturing woman who loves helping children to grow. 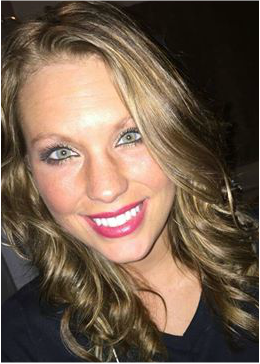 She has been involved with cheer and tumbling for 12 years, coaching for the most recent 4. Ms. Caitlyn also nannies for two young children, and has a deep understanding of childhood development. She is totally focused on fostering the growth of the child as a whole by promoting creativity through movement. Ms. Caitlyn is very excited to become a role model for MDC's littlest dancers! ​ Ms. Jordan is very patient and loves working with children. She has been involved with cheer and tumbling for 7 years. She made the varsity cheer team as a freshman and continued to pursue her passion by coaching the youth cheer program in Imlay City. She currently coaches the JV cheer team in Davison and is going to school to become a sonographer. Ms. Jordan is a mother to a 2 year old boy, so knows exactly what our little dancers need! Her goal is to provide a fun learning environment for our toddlers! Ms. Linda is a vocal coach from England and has been teaching singing and performance professionally for over 7 years. She studied at Thames Valley University in London for performing arts and graduated with a degree in performance and performance vocals. Ms. Linda has extensive training in musical theater and pop and is accredited and certified with diplomas from the Associated Board Royal School of Music. Before moving to the US, Ms. Linda had a successful base in England, with over 40 students of all ages, from beginner to advanced. She teaches to a very high standard... many of her students went into top theater schools, played main characters in big shows like Annie, or were helped to start a budding pop career. Ms. Linda is also first aid certified and has an enhanced CRB. Why her students love her: "Ms. Linda is an amazing coach. She is very thorough and dedicated. I feel that with her, I will truly progress to my full potential and I am so happy to have her as my coach!" 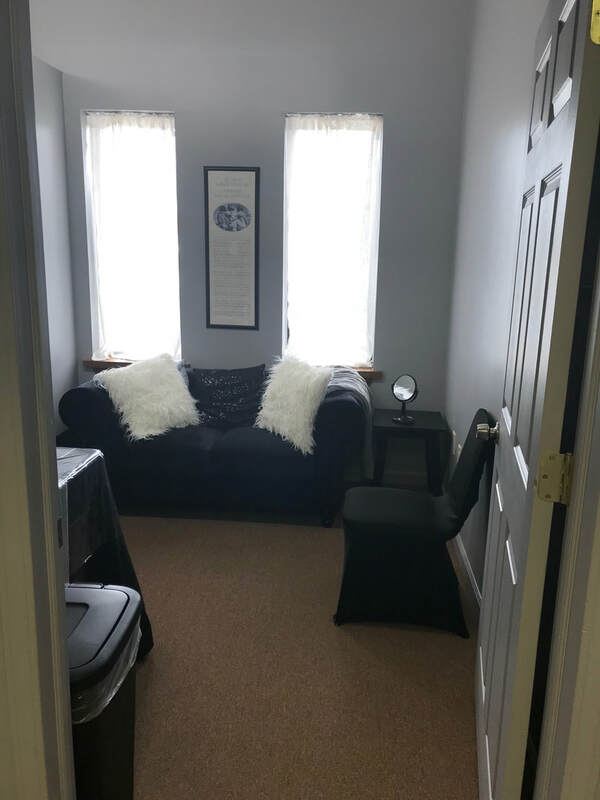 Our studio consists of two large dance rooms, a spacious lobby with parent viewing windows and a fully furnished student lounge and study area. Our dance rooms are lined with mirrors and have beautiful, professional marley flooring suitable for all styles of dance. We have stationary ballet barres, as well as portable barres that come in various sizes. We also have a kip bar, incline mat, octagon mat, wheel mat, and folding tumbling mats for our gymnastics/tumbling and acrobatics classes. Come in and check us out!